Welcome to Benderdachs' home on the internet! 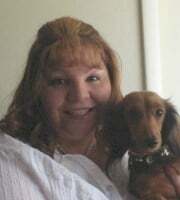 About Us..We are a small IN HOME breeding and former Show home of AKC Smooth and Longhair Dachshunds. 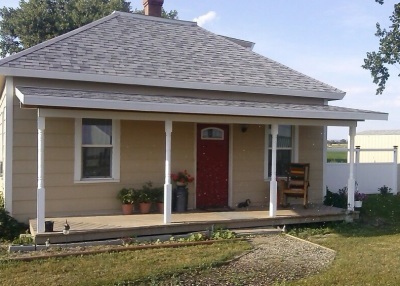 We live in SouthEast Montana(near Hardin) We are not a "kennel" or a "facility." Our home is our dogs' home, too! The idea of Benderdachs started in 1999. I then bought books and started studying the breed, and making friends with established and reputable breeders. The first Benderdachs litter of puppies was born in 2002. Not many Breeders have been around as long as we have, because breeding and raising dogs is alot of hard work! It can be heartbreaking & expensive. There are alot of sleepless nights and very few vacations. 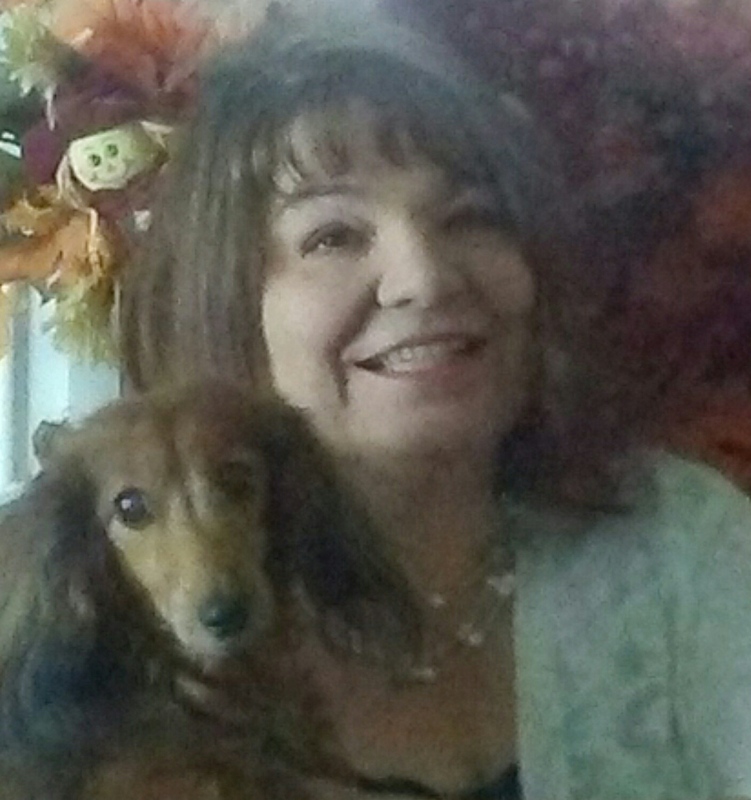 We breed to provide nice quality and healthy pets to people who appreciate having a short, quirky, & loving companion. for a puppy the first time you get on a Wish List. Sometimes we don't have enough puppies to go around! We do NOT automaticlly carry names forward to the next litter, you need to apply again. 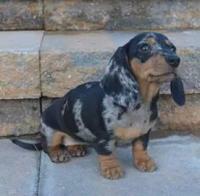 We have dachshunds in Cream and Black&Cream, and Reds and Black&Tans...Dapple, Brindle & Piebald patterns. We prefer the longhair variety, with an emphasis on "English Cream" heritage, because of their gentle nature and extreme beauty. 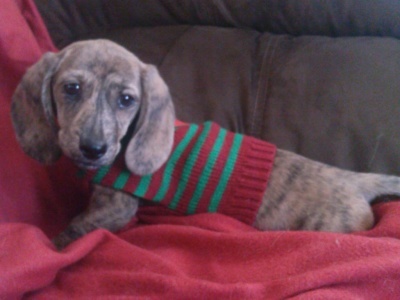 We also have SMOOTH doxies because of their huge popularity and fun loving personalities! 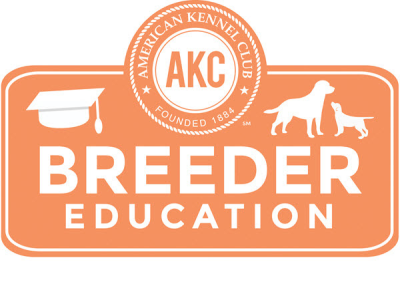 Our dogs are all FULLY AKC Registered. They have been carefully selected for their quality conformation, and healthy lines. Many of our dogs come from Exceptional bloodlines, with Imports & Champions from prestigous kennels in their pedigrees. 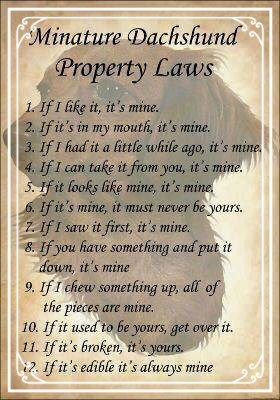 Our doxies are family members that raise their puppies right alongside us INSIDE our home...the babies are NEVER outside or in a kennel. The pups get daily attention & handling, in order to be well socialized and happy when they arrive in their new home with you. Our adult dogs are fed high quality Meat-Based food, are given Glucosamine & Chondroitin, Ester C, and Turmeric supplements. They even drink Purified Bottled Water. We Have Started the Process of Running Full Genetic Testing Panels on our Adults through Optimal Selection. This is a small sample of some our PREVIOUS puppies, to show you the variety of colors & patterns that we can have at Benderdachs. please contact us! We can take it back OR assist you in finding a new home for him or her. 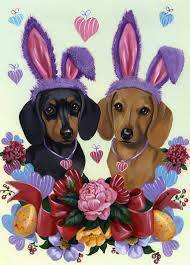 PLEASE don't ever take your Dachshund to an Animal Shelter, or have it put down because you can no longer keep it! We often have people contact us looking for adult dogs. even if it is NOT a Benderdachs! and we will welcome you to pick up your puppy at our home. Delivery is Possible: depending on our schedule and weather. These Long distance deliveries are now $50.00. Delivery to BILLINGS, HARDIN or CUSTER is still FREE. Due to USDA Laws: Sorry, NO SHIPPING of Pet Puppies! 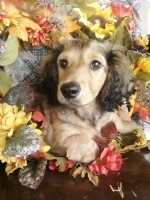 We must meet face to face to deliver your pet puppy to you. 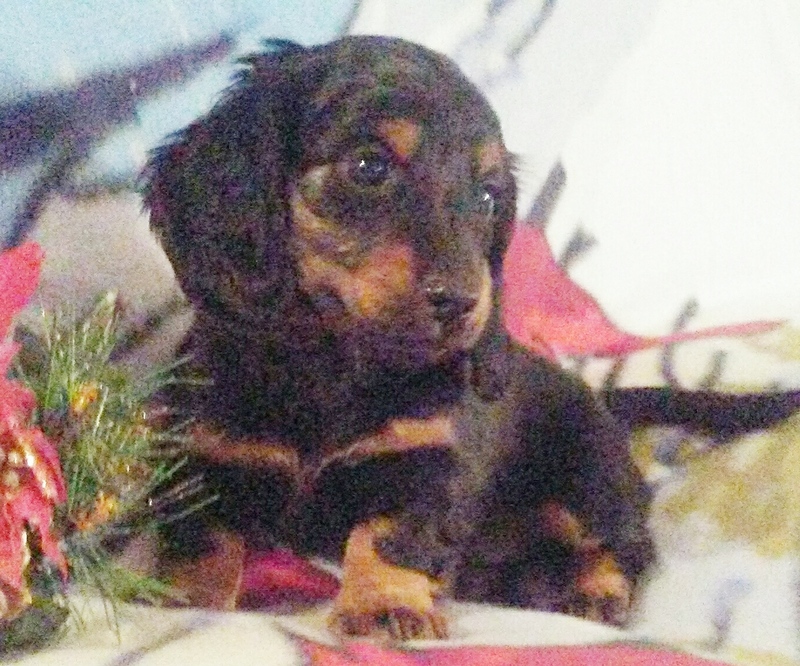 We are quickly becoming the Go-To Breeder for Dachshund puppies in Montana, Wyoming, Colorado, North Dakota, and South Dakota... Even Idaho and Utah!